The Handmade Hangout #83 + FEATURES! | Occasionally Crafty: The Handmade Hangout #83 + FEATURES! 1. Best Year Yet Printable from Tried and True for C.R.A.F.T- I printed this for New Year's but I want it up all year to inspire me! I love the black and white especially. 2. Scroll Saw Signs from Fynes Designs- These are just a little bit of happy! She is so talented and her work makes me smile! Can I have one of each please? 3. 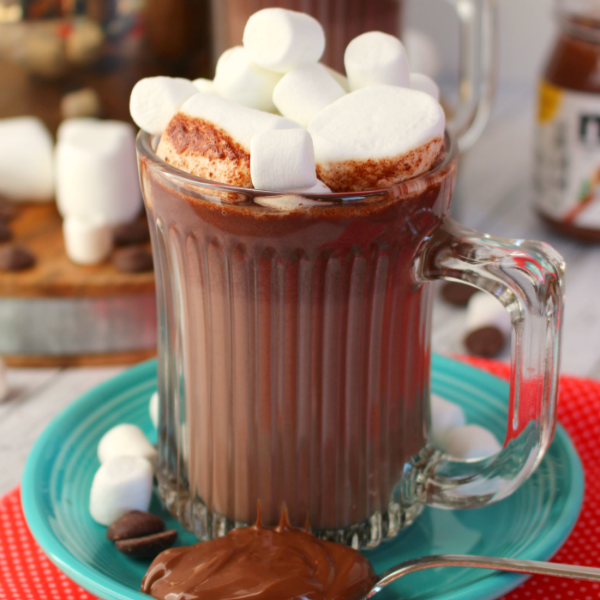 Nutella Hot Chocolate from DelightfulE Made- Erin combines my two favorite treats- Nutella and Hot Cocoa. It's been cold and rainy here in Phoenix, and I really want some of this right now!